Click here for reservations and more information about Above The Rest Accommodation. 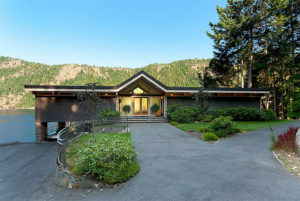 Nestled off the scenic Malahat Drive, this 53 acre waterfront estate offers amazing peace and tranquility. Very private yet located only 25 minutes from downtown Victoria, 15 minutes from Brentwood College & major shopping, dining and services. Click here for reservations and more information about this accomodation. 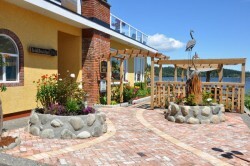 Birds of a Feather is located 15 minutes from downtown Victoria, on the shores of a protected ocean lagoon. Our unique west coast location offers the best of both city and nature, with Victoria’s best attractions just minutes away and a seemingly endless network of hiking trails and beachcombing on our doorstep. There are miles of rugged west coast beaches to explore and we’re right next door to 3 national historic sites: Hatley Castle Park, Ford Rodd Hill and Fisgard Lighthouse. 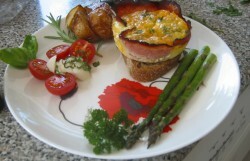 Click here for reservations and more information about Birds of a Feather B&B. 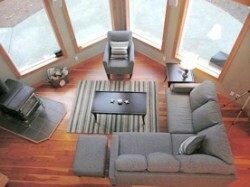 Race View Bed and Breakfast is located in Metchosin, just 25 minutes from Victoria. Perfect the art of sitting on the deck and drinking in the view. Amidst 2 acres of natural forest we overlook ocean and mountain vistas. Whether you seek a romantic getaway or a family vacation, we invite you to reserve a stay at our B&B and enjoy our warm hospitality. Race View caters to the needs of today’s travellers, offering WiFi, a large very private suite, fabulous food and so much more. Click here for reservation and more information about Race View Bed and Breaktast. Take a look at some of our fishing friends and affiliates.